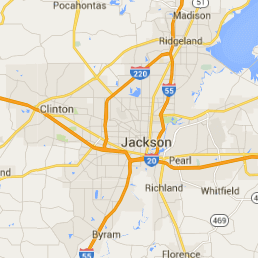 The climate in Jackson creates the perfect environment for mold and mildew to grow, with the weather generally being warm and humid throughout the year. In the summer, the average temperature stays at around 80 degrees with humidity levels remaining in the low to mid-90s from about April to November. The high moisture content in the air makes it easy for mold to spread indoors, especially if there is water damage present. 911 Restoration of Central Mississippi is well-aware of how quickly mold can multiply throughout a home or business, which is why their technicians respond immediately to customers who discover signs of an infestation in their property. When there is also a leak, remnants of a flood, or unmitigated water damage present, the mold can begin flourishing within 24 hours, making time a crucial aspect of any mold remediation job. Before we begin cleaning mold out of your property, the technicians will provide the property owner with a free visual mold inspection, which will allow us to thoroughly check the area for all signs of mold and water damage. The surveillance process makes it possible for the mold experts to come up with an accurate estimate, which will detail the extent of the mold infestation and outline any water damage that needs to be addressed, as well. 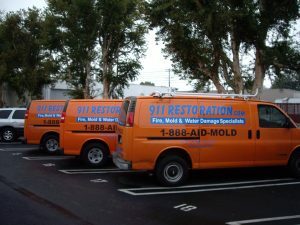 911 Restoration consistently provides competitive prices for their mold remediation services. So, if you live in Jackson, Pearl, Madison, or anywhere else in Central Mississippi, call the office to receive your free mold inspection and estimate today! 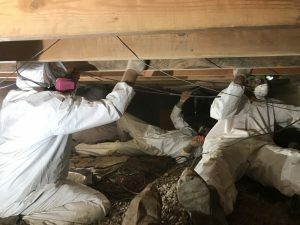 The most important part of implementing a mold remediation strategy is locating the cause of the infestation, whether it be water damaged sheetrock, a leaky pipe under the sink, or a hole in the roof allowing rain inside the attic. The mold specialists in Jackson emphasizes the need for an initial mold inspection because without tracing the mold growth back to its point of origination, the colony will continue to grow and spread throughout the property. We want property owners to understand that when there is stagnant water on the surfaces of their home, then mold is also typically present, even if you can’t immediately see the growth. Most of the time you may not know mold is growing in your home or business because the spores live in damp, dark spaces which are usually out of sight. The good news is that the repair techs know precisely where to look for a mold infestation, as well as how to eradicate the organism without contaminating other areas of the property. Mold eats through wood, paper, cardboard, and other organic materials found in most homes and buildings. When left to invade an area, the mold can begin rotting wood and causing structural damages. To prevent these issues and keep you safe, call 911 Restoration of Central Mississippi soon as you notice mold and water damage in your property. Once our mold specialists are on the scene, they will ensure you receive the peace of mind you deserve. Even though the technicians at 911 Restoration of Central Mississippi are mainly hired to eradicate your mold infestation, the staff’s main concern is keeping you feeling positive throughout the whole ordeal. It is understandable that dealing with an infestation in your personal space would be concerning for a property owner, which is why when the technicians arrive they make such an effort to put your mind at ease. The mold specialists are confident that they can overcome any type of mold issue that you may be impacted by, no matter how widespread the infestation may seem. Through our comprehensive mold remediation services, we will show customers how we use advanced structural drying and dehumidifying techniques to kill lingering mold spores and prevent future instances of growth. In fact, technicians will even go a step further and collect samples of mold found in your property. By sending these samples to a third-party, mold-testing facility, professionals will be able to determine the species of mold you have been living with. By figuring out what type of mold is growing in your home or business, we will be able to assess the health risks and act on any measures that may need to be taken to keep you and your family safe during the mold decontamination process. So, call 911 Restoration of Central Mississippi to receive mold removal assistance from a team of professionals who care and understand your needs. Let them show you how to turn a mold infestation into a Fresh Start.